New River Dining: Grandma's heirloom shot glasses and two kinds of beetroot. Grandma's heirloom shot glasses and two kinds of beetroot. Alison, on the right, on the floor. You can add your own punchline. I found Alison's friend Jo, carefully unpacking these dainty vintage crystal shot glasses. "They were my Grandmother's." She said, entreating caution I suppose. Jo, of Polish heritage, had brought something to fill the glasses too, neither of which I'd ever come across: a lemon vodka (more like a grown up limoncello I thought) and Soplica Wisniowa which was sweet cherry but still with a 36% kick. Just the stuff to celebrate Alison's birthday. Four of the nine guests had been before and Hannah (of Enfield LYDS fame) was on her third visit. One of my vodka flutes with my... ahem, tasting sample. 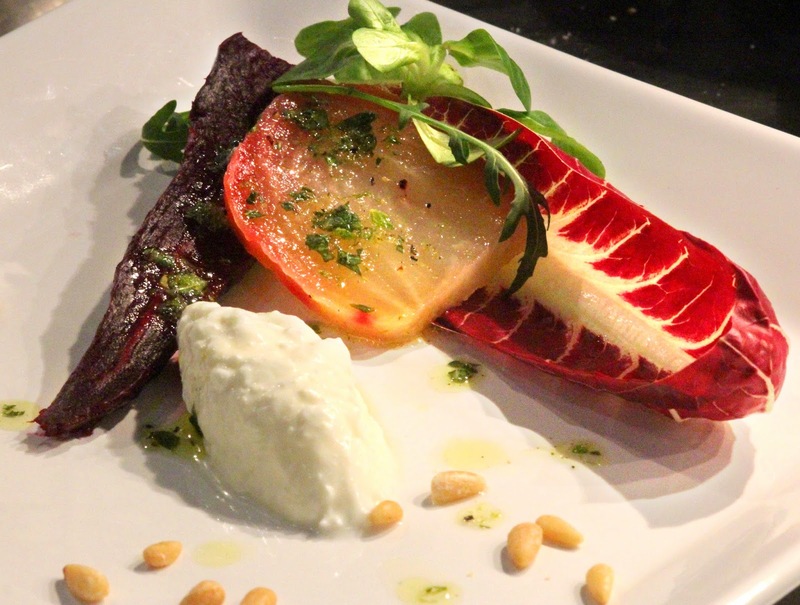 Starters was Wildes curd cheese again but this time served with two different beetroots from Borough Market: Cheltenham and Candy. I'd been for lunch with my mate Veronica Henry. 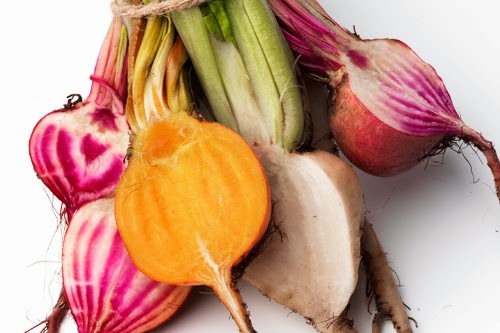 Cheltenham, sometimes called Greentop, is a long, tapering beet whereas Candy, comes in a variety of presentations but usually rings of either pink or orange. How pretty is that? However, on peeling, my Candy was more of a graduated pink to orange. 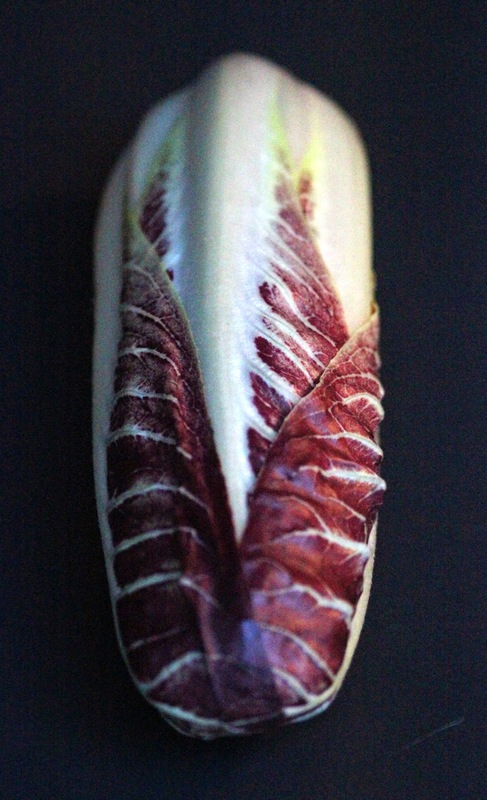 At the market I'd also found a stunning purple radicchio, a variant of chicory. I thought its crisp snap and bitter flavour would contrast nicely with the soft cheese and the sweetness of the baked beets. This was a purple and off white colour, giving it an almost retro look, as if through some permanent Pinterest filter. Certainly, this was at the most attractive beetroot salad I've ever served. The weather still has a midwinter feel so instead of Yorkshires with the braised lamb shanks, I served rich, creamy and deeply warming potatoes Dauphinoise. To avoid creamy boil over which results in a serving dish that is unattractively streaked with burnt brown, I slow roast mine, covered, at 150°C for 90 minutes before a final 20 mins at 200°C for that essential golden crisping. Crisp golden top and clean, white sides. At the end of the meal, I had a long chat with Barbara, also Polish, who I suspect is a better cook than me. We discussed three day cooked cabbage and sausages made from the triumphs of her father's hunting trips. Some guests sat digesting and cogitating. And some didn't. You can just make them out in the background, behind the empty bottle of Soplica Wisniowa. 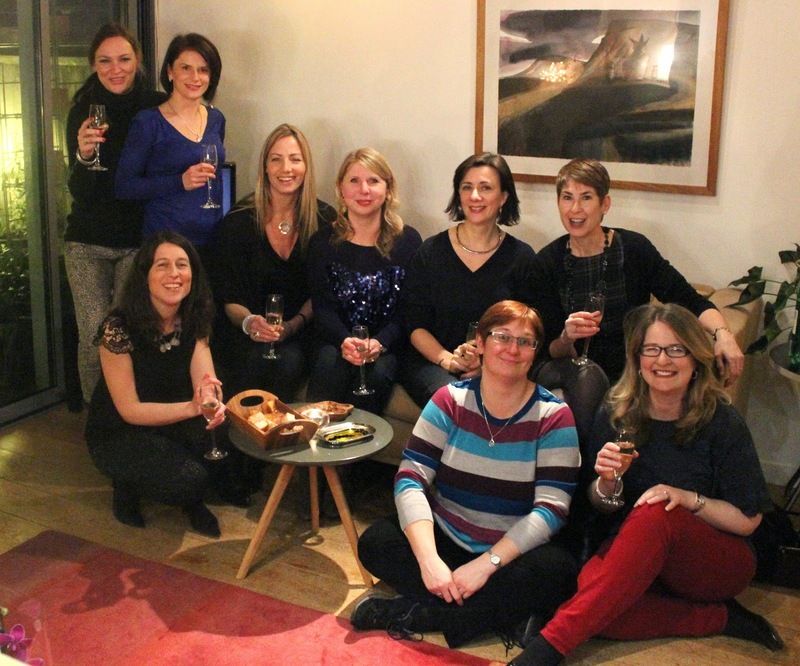 And finally: happy birthday Alison.